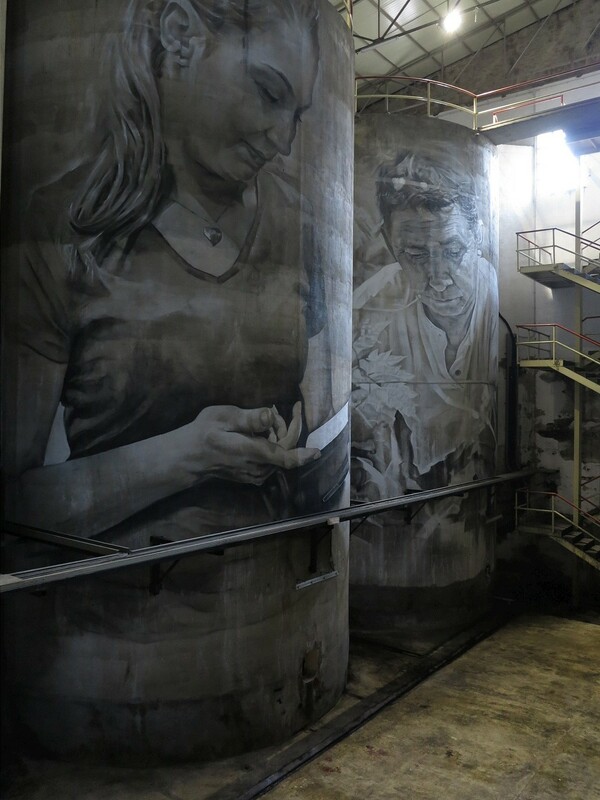 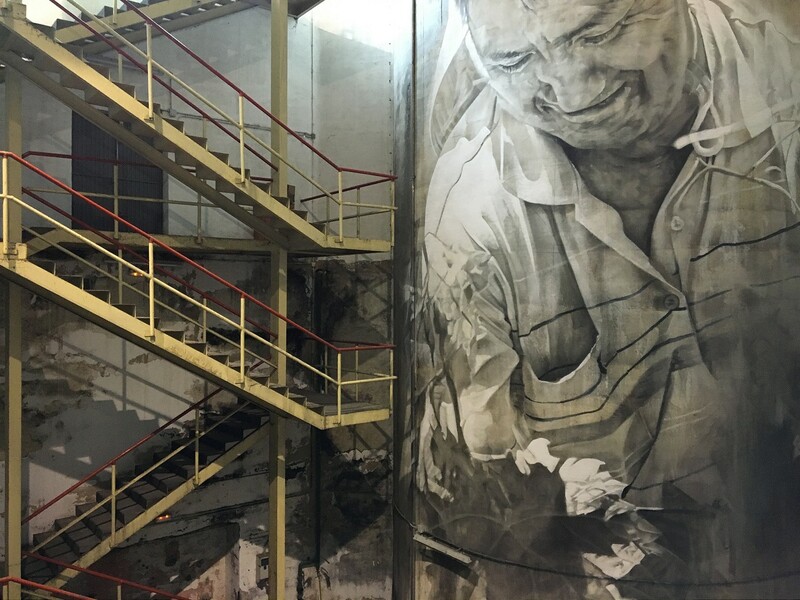 Guido Van Helten recently spent some time in Spain where he worked on his largest indoor project to date. 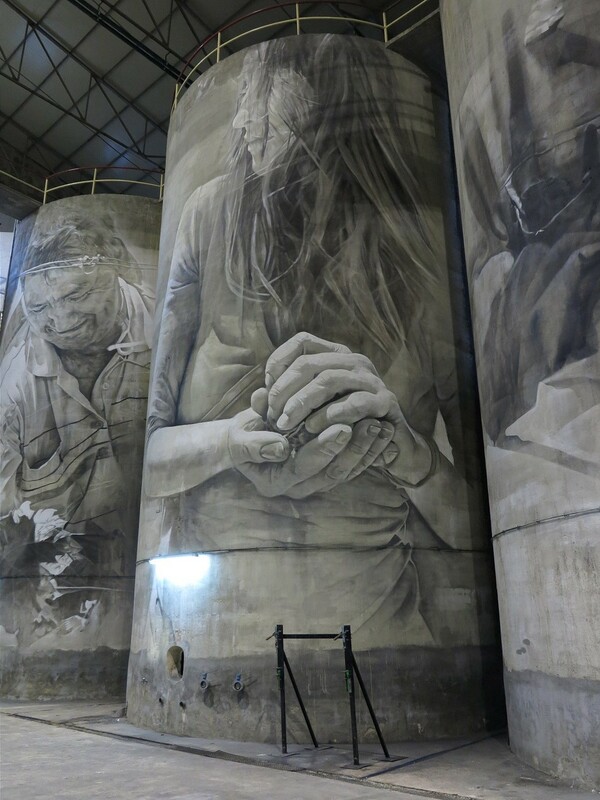 Known for his black and white photorealistic murals, mostly created on industrial or abandoned buildings, he made a great use of the opportunity to paint on the group of seven indoor silos. 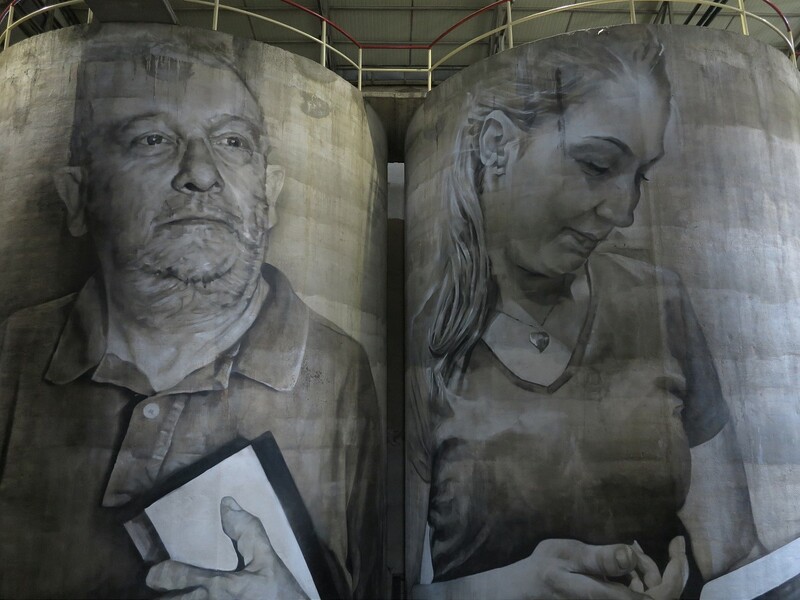 Invited by the Bodega Solar de Samaniego winery to participate in their Drinking Between Lines artistic project, the Australian-born artist picked seven images of the local people that are somehow related to the wine industry. 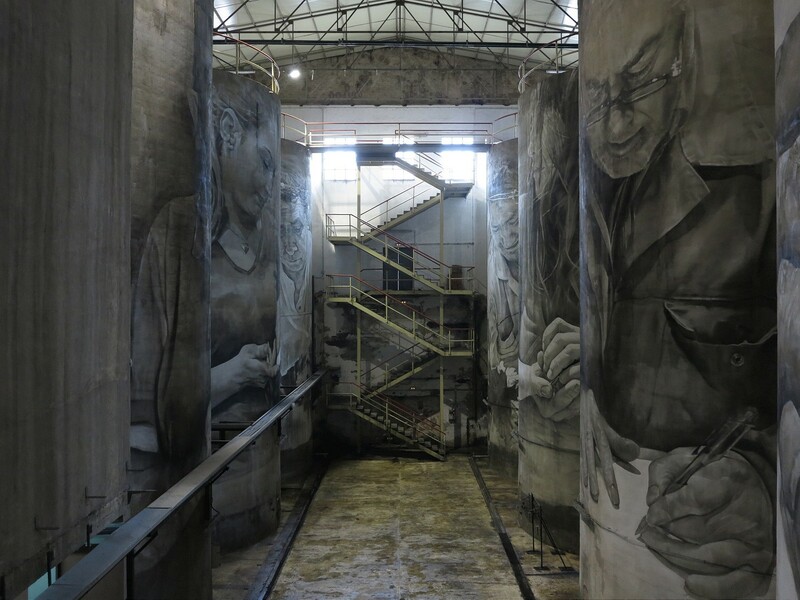 The concept was to commission and display works by writers, illustrators, artists and architects, that celebrate reading and enjoying wine. 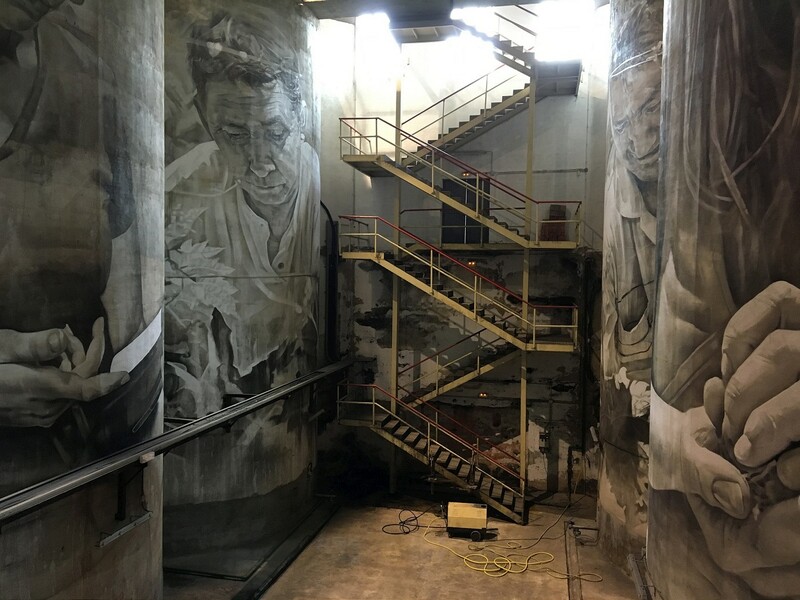 The series of large scale portraits are nicely composed within the existing architectural elements, blending harmoniously with the massive concrete surfaces of the 70s industrial setting. 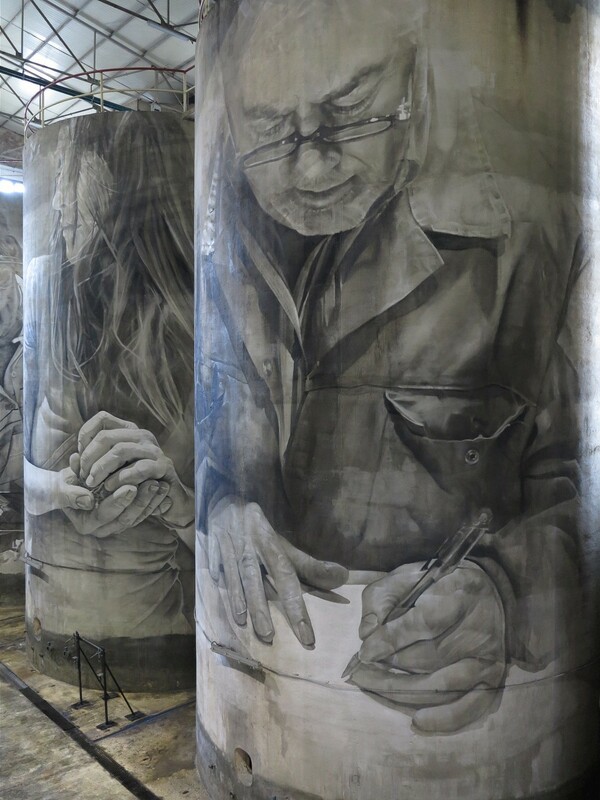 Minimizing his intervention, Van Helten once again created impressive photo realistic portraiture work, painting only light and dark accents of the reference photographs and using the roundness of the surface to accent the perspective effect of the finished work. 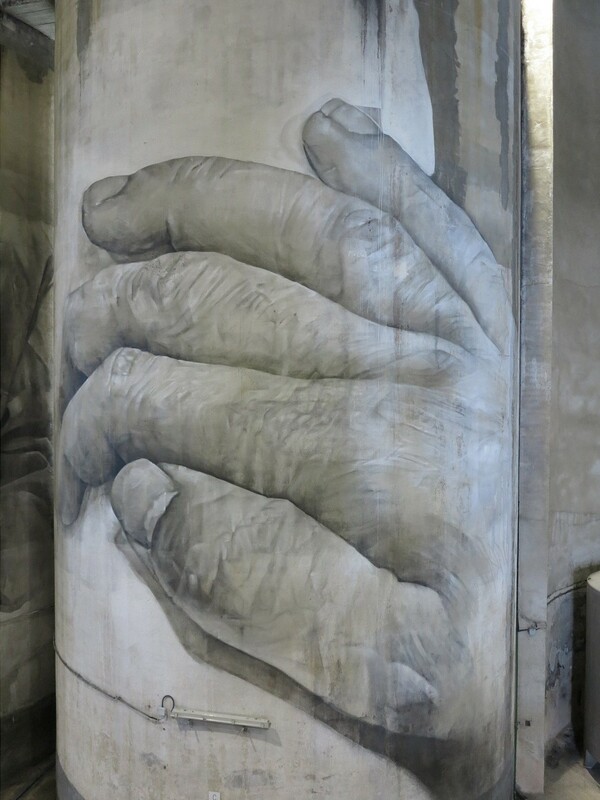 Categories: Features, Seen on Streets, Street & Urban Art, Videos. Tags: Features, Guido Van Helten, Seen on Streets, Spain, Street & Urban Art, Videos.